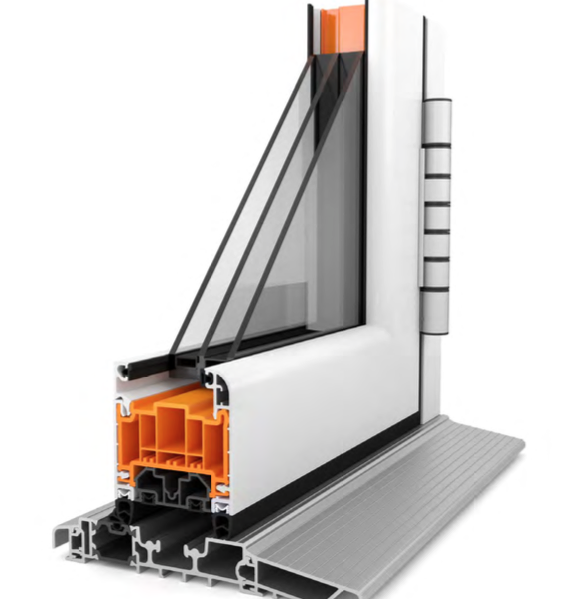 Built around a full width thermal core, WarmCore is 25% more efficient at keeping heat in your home than traditional aluminium doors. 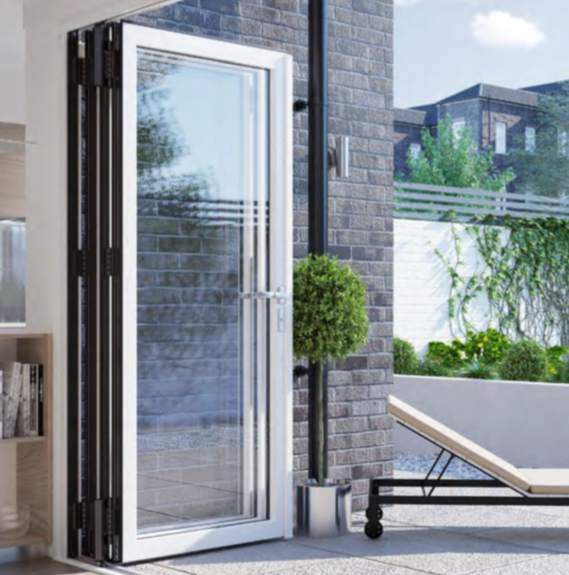 In keeping with their attention to quality, WarmCore doors carry a comprehensive 10 year guarantee – covering materials, surface finish and operation. 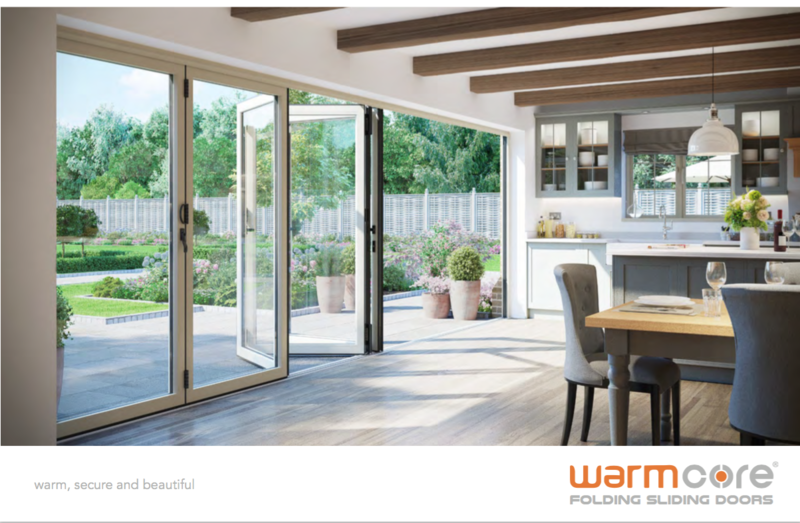 So you can feel confident in your decision to add WarmCore folding sliding doors to your home. 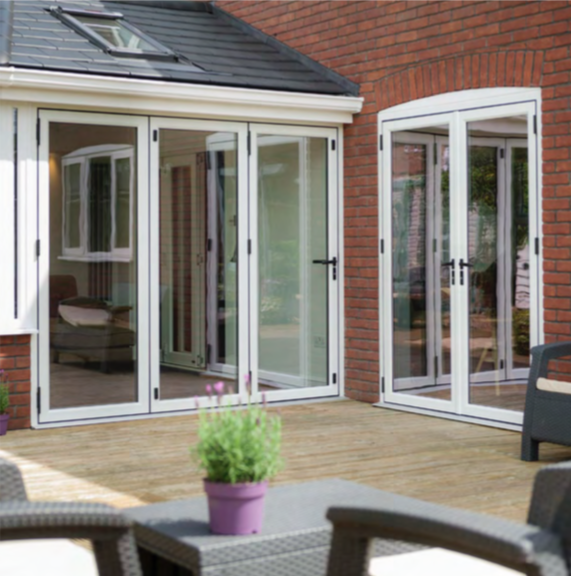 The WarmCore system is also available as single or French doors, ideal for keeping a consistent look with a larger set of WarmCore doors. 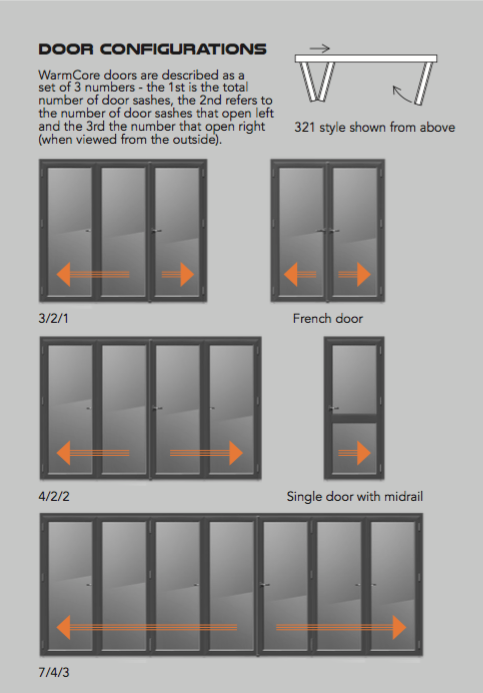 In addition certain door configurations offer even more practicality, as the door sashes that meet in the middle, or at one end, can be used as a set of French doors – when you don’t need, or want, the doors fully open. Current building regulations require a U-Value of 1.8. Double Glazing has a U-Value of 1.4. 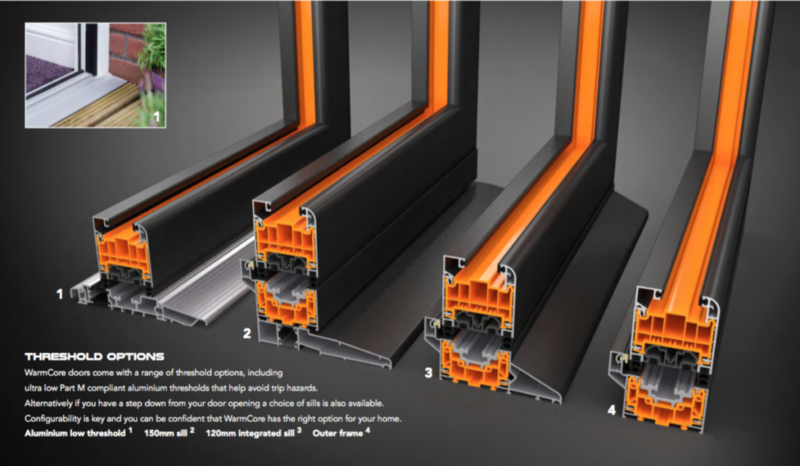 Warmcore Aluminium Folding Sliding Doors have a U-Value of 1.0 when combined with triple glazing. A custom designed door lock, available on no other door system, uses a 5 point locking system with 3 opposed hook locks and twin shoot bolts – that engage fully into the aluminium top and bottom tracks – helping keep you and your family safe and secure. 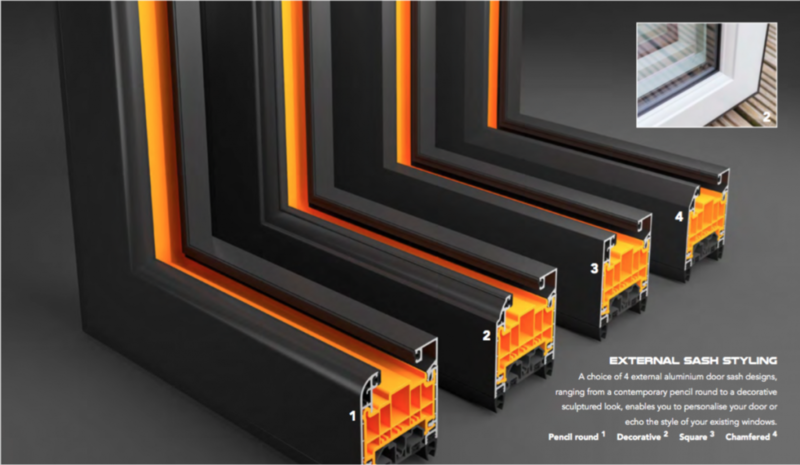 Available in a choice of 4 powder coated colours, WarmCore allows you to pick a different colour for each side of your door – at no extra cost. 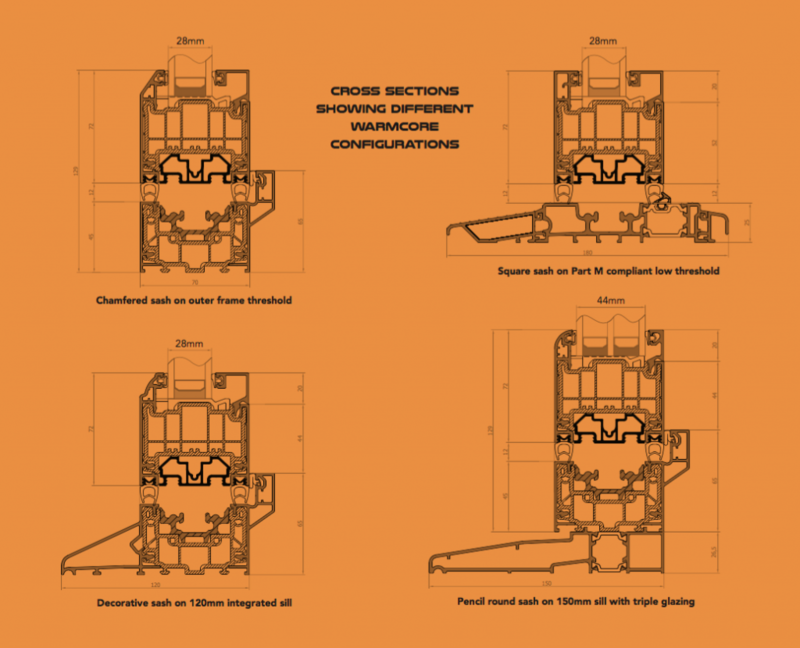 A choice of 4 external sash and outer frame designs enable you to personalise WarmCore Doors. Pencil round gives a softer look, while Square gives a more precise and contemporary feel.